A LONG-forgotten team of football greats will finally get recognized when the Cebu Sports Hall of Fame gets revived on Feb. 16 at the Social Hall of Cebu City Hall. This year’s individual honorees are Maria Belen Rusiana, Federico Ybañez, while the M. Lhuillier Cebu football team of 1988 is the Special Honoree. Rusiana was a member of the Philippine team that won the gold medal in the Southeast Asian Games in Jakarta, while Ybañez played in the 1966 Bangkok Asian Games. He was also named the Best Table Tennis Athlete for 1961-1970 by the Philippine Olympic Committee. The M. Lhuillier team was coached by Graeme Mackinnon, who himself is a special honoree of the Cebu Sports Hall of Fame, and was the last Cebu-based team to win the national men’s football title. “I’m very pleased for the boys for the recognition of their work during the championships and before that,” said Mackinnon. Among the members of that team are Mario Ceniza, the team captain and now the coach of Paref-Springdale, Gemini Sitoy, Danteo Orejudos, James Paradillo, Albert Regencia, Edwin Arganza, Rene Inoc, Wilfredo Juezan, James Janea, Randy Estremos, Felix Navarro, Genard Aller, Eddie Caterinen, Mohammad Mike Ahmad, Archt. Peter Bordador, Alan Arcabal, Rene Maambong and the late Robert Eco. Most of the players are still active in the local football scene, while Estremos, who became a Fifa assistant referee, is now in charge of referee development in Macau. 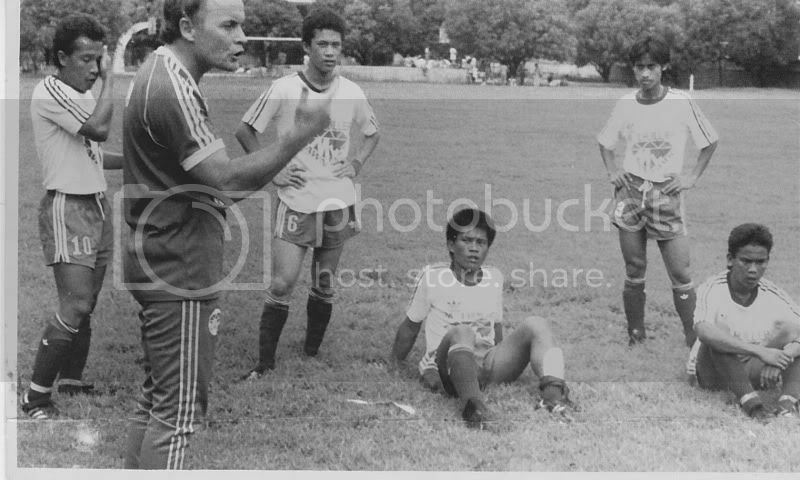 The team was composed of mostly young players and it also managed to reach the finals of the 1990 and 1991 national men’s football championships. Ceniza, then 25, was the oldest member of the team, majority of whom were below 20. Mackinnon recalled that they had to overcome the injuries to Sitoy and Ceniza during the finals. “Mario hurt his knee but in the morning of the finals, he gave himself a fitness test. He was the only player who I trust enough to do that. When he returned, all I asked was ‘how was it?’ and he gave me the thumbs-up,” Mackinnon said. In the final against Iloilo, the match went to a penalty shootout and only Ceniza missed, while Sitoy, who was named the MVP, saved two shots. “He (Sitoy) always assured as that when it comes to shootouts, he will save two penalties and it was up to us to score three,” said Ceniza. Graeme is a legend! We love what Graeme had done to the Phil Football! You are truly a Filipino not by the color of your skin but by your heart! We the filipino people says THANK YOU!! OLE OLE OLE Graeme!!! I'm so proud of my dad and what he has done for the Filipino people he truely is inspirational, congratulations Dad and your team of 1988. Saver this moment and you will enjoy the memories if that time back then in 1988 for many years to come. Hi Fiona, your dad is a legend here. If and when my time comes to start coaching,I would like to think if i could be half as good as DAD then i would be happy. Congrats to the team of 88.